Merging micro-targeted customer data with breakthrough printing technologies to create truly individualized pieces that pop. Christoph Schell is the president of the Americas Region for HP Inc. Marketers have used printed materials to spread their messages for decades and although consumers now spend hours each day staring at multiple screens, print still has a huge role to play. When most people think about printing, it’s in the context of the home or office. However, it is graphics printing where the vast majority of pages are produced — by some estimates, about 46 trillion pages compared to about 5 billion in home and office printing combined. And within the graphics printing segment, digital printing, as opposed to traditional offset printing, has the biggest growth opportunity. Color digitally-printed pages in North America are poised to grow at double-digit percent across most application segments leading up to 2020. Clearly something big is happening. 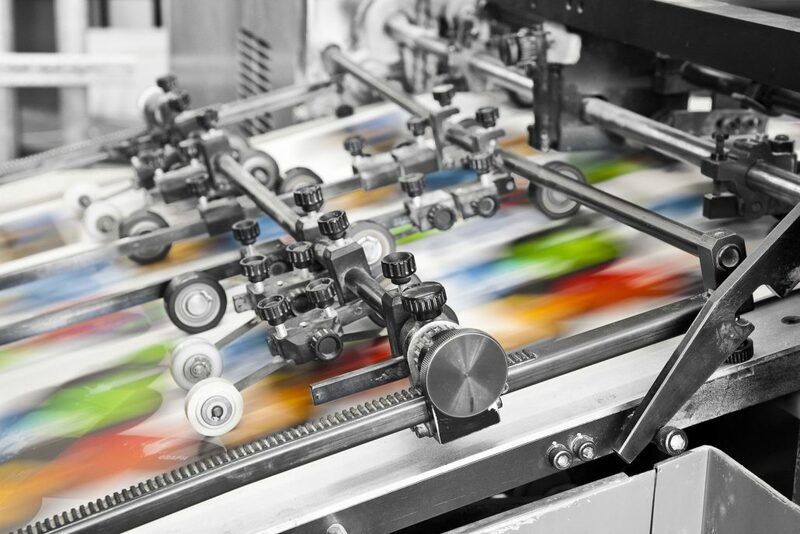 Digital printing is benefiting from improved data analytics, a better understanding of market segmentation and remarkable new printing technologies to small print batches on demand. By using demographically targeted data to personalize their messages down to an audience of one, marketers are producing powerful pieces that garner better response rates. Marketers have gathered mountains of information about sales cycles and consumers, but they’ve struggled in customizing that data for specific business objectives. For example, it’s relatively easy for a supermarket to print 1,000 flyers advertising a sale, but in the past, it was much more expensive and difficult to print 1,000 tailored flyers specific to multiple locations. Digital printing solves this challenge by allowing businesses of all sizes to customize print jobs simply and affordably while also reducing waste. A microbrewery, for instance, no longer needs to print 50,000 bottle labels only to have thousands go unused if sales don’t materialize. Instead, it can print 1,000 labels — exactly what it needs — without incurring additional cost. And those 675 limited-edition Oktoberfest labels? No problem. Such flexible print runs are changing how businesses package and market their products and services. Digital printing is also inspiring ad agencies and marketers to engage with customers in more creative and cost effective ways. Instead of spending thousands to produce large runs of identical, slick-stock brochures, auto dealers are now directing customers to go online, plug in vehicle preferences and receive customized materials by mail shortly afterward. Digital printing is also breathing new life into direct mail. Five years ago, with postal rates rising and mobile advertising all the rage, the prospects for direct mail looked fairly bleak. But oddly enough, research shows that people — even millennials — still appreciate holding paper in their hands. In one July 2016 study of American consumers, 70% of respondents, including 69% of 18- to 24-year-olds, said they prefer print and paper communications over reading from a screen. And a 2015 Direct Marketing Association study found that response rates from letter-sized direct mail to existing customers average 3.7%, compared to 0.1% for e-mail. Print may be more expensive on a per-piece basis, but the cost per lead and the cost per sale are similar to those of other channels. So, there is value in printing mailers. And the personalization capabilities that come with digital printing enable companies to connect with customers in fresh and engaging ways. Today’s digital printing technology can do so much more than print thousands of identical packaging labels. It doesn’t always have to be new and improved to get customers interested in a product again — it just needs to be more personal. That’s what Nutella found. When the hazelnut spread stopped flying off grocery store shelves in Hong Kong, the brand turned to pop-up stores in the U.K. that offered consumers a personalized touch by printing custom labels. The “Share a Coke and a Song” campaign is another shining example of rising interest in product packaging personalization. Launched last spring, the campaign featured more than 70 song lyrics printed on various Coca-Cola brand sodas. Major brands can also do some unprecedented things with digital printing. For example, they can embed invisible microcode onto a pharmacological product label to reduce theft and counterfeiting. They can create raised dimensional effects, producing the look and feel of an object, such as a basketball on a fundraising promotion for a sports team. Marketers can also design shiny metallic effects to advertise jewelry in catalogs or magazines. In addition to its marketing benefits, digital printing can also contribute to environmental sustainability efforts, considering the full product lifecycle, supply chain and end of life. Digital presses can also reduce waste and decrease power consumption as compared to analog technologies. Digital printing also offers increased recyclability of supplies, press/printer parts and media. In fact, according to the EPA, paper is recycled more than any other commodity in North America. At this point we all know that anything that can go digital will go digital. Print is no exception. Customization, personalization, micro-segmentation and SKU proliferation are all pushing digital printing to the forefront, and the desire for brands to better connect with consumers will only push it further. As mass-produced printed products continue to decline, high-impact, environmentally-conscious printed materials are headed for a display, package or mailbox near you. This article originally appeared in PI World. Design nerds can’t get enough of these ’70s US government brand manuals How do you train a graphic designer?